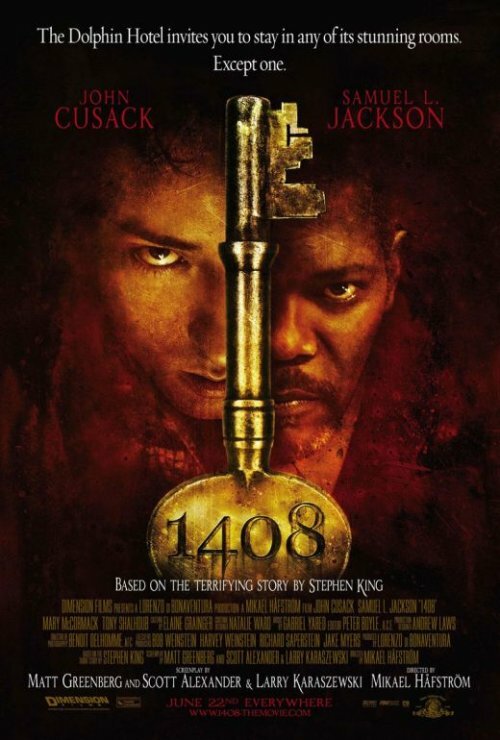 I complained that the 1408 teaser poster was too subtle. Well, the new (and supposedly final) one is a lot less subtle. On the other hand, it is a lot more ugly. They seem to have overdone the gritty, dirty and scratchy look without much need. So, it ends up “uglyfying” the poster without adding much in terms of visual/emotional impact. Also, I’m not a fan of the “two floating heads” type of posters, both because they are kind of silly and because they have been way overdone. Although I do think the showing only half of each face is one of the better variations of this particular poster genre. The first poster, despite my reservations about it, made me more interested in seeing the film. It did convey a sense of creepiness, and also made the film seem a little different than most other horror/suspense movies that we have seen recently. This one, on the other hand, makes the film look like a hundred other movies. And a somewhat cheap version of them to boot.